The charity sector is far more tuned in to the importance of stories than it was even five years ago. Colleagues who previously feared the ‘dumbing down’ of key messages now recognise the power of human storytelling. But have we reached the point yet where we adopt a strategic approach to our story gathering? The last minute scrabble for stories, photos and film, whether for a campaign launch, an impact report or to leap on the latest Twitter trend, is a challenge many charity comms people will recognise. So much content is needed these days that figuring out how to capture all you need with increasingly smaller budgets can feel daunting. Here are our top tips for making your content more strategic and getting the most from your budgets. Mapping out the headlines of your content needs six months or a year in advance is a good starting point. It doesn’t need to be complicated – a simple Excel will be sufficient – but plotting out the year will help you have a long view and will ease the stress of the last minute scramble. We would recommend you include a column that indicates what kind of content you will need for each activity and audience. For some things you’ll need a full asset bank of films, photos and written stories, but for others you may just need some photos and quotes. At Anthony Nolan, new story manager Hayley Tomkinson has implemented a new planning system. An engagement calendar includes an overview of the year’s awareness days, national moments, sector events and their own big events, quarterly content planning meetings are focused on forward planning and they use monthly catch-ups to address the day to day needs and to review and evaluate the previous month’s activity. While your own planning is the foundation of successful story-led campaigns, to really succeed in this area you will want to involve the whole organisation. If you haven’t read it already then check out my previous CharityComms post where I set out our top tips on how to find your charity’s hidden stories. Two and a half years on from that post, the core advice remains the same and that is that the organisations who really excel at storytelling are those who build really strong relationships between the service teams and communications teams. However good your comms planning is you are very rarely people on the frontline of your work and so to harness your charity’s storytelling power you need to build a secure pipeline and get those spine-tingling stories flowing. Set up regular opportunities for your service teams to share the things they see, keep them informed about upcoming campaigns and ask them for their advice on what stories could be told and offer them training on how to spot and capture a story. Most importantly, provide them with feedback on what does and doesn’t work and celebrate success when a story one of them has spotted performs well. Consider how stories can be repurposed and reused on different platforms and at different times of the year. You might commission an agency to make a film for a fundraising appeal but look at your calendar and consider how you can get maximum use from that investment. Could you do an update on the person’s story later in the year for a supporter magazine or the annual report? Could you re-edit the footage into Instagram shorts? Consider these things upfront and you can make sure you or your suppliers are asking all the questions and capturing all the visuals you need in one sitting. Also, think about how you can upskill yourself to be more self-sufficient. 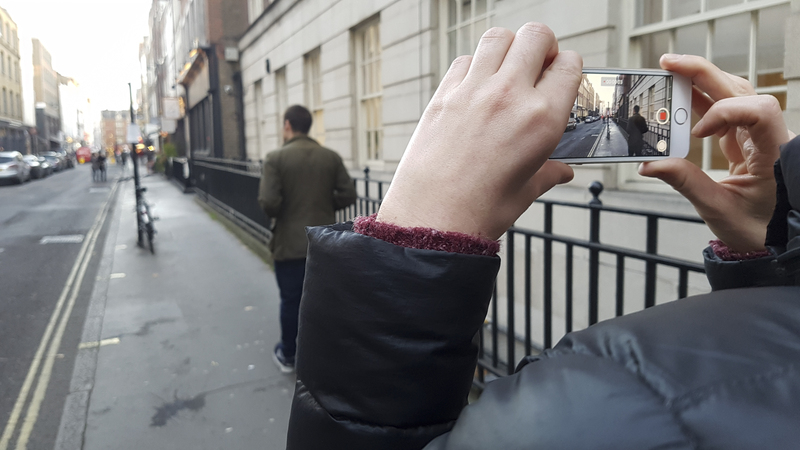 Centrepoint commissioned us to capture a set of five films but on top of that they also booked a smartphone filmmaking course and a day of Adobe Premiere editing training. This gave the raw footage a much longer shelf life as they were also able to produce future films at a far lower cost because they’d invested in their own skills. Audits are not just for your finance team. Mile 91 is a big fan of systems and processes – our first tip is to start your work cycle by producing a content mapping calendar and our final one is to end your year with an audit. The best way to make sure your storytelling is delivering results is to monitor engagement and feed that knowledge back into your planning. When we got the data back on TUC’s 150th storytelling campaign it showed that two of the highest performing stories were Audrey White who in 1983, many years before #MeToo, challenged workplace sexual harassment and the Match Women’s Strike which marked its 130th anniversary last year. From this they could conclude topicality and anniversaries help union stories to cut through. Record how frequently each story is used by teams around the organisation so you can work out the cost per usage of it, ask your digital team for social media engagement data and check with fundraising colleagues which appeals performed the best. Look out for trends in which stories get the best response and feed this back into planning then use the engagement data to evidence the impact of a powerful story when making the case for more investment in storytelling. Mile 91 will be exhibiting at The Power of Human Stories conference on 28th February where they will also be running bookable drop in surgeries during the break times. Delegates will also be able to get a 10% discount on Mile 91’s March Smartphone Filmmaking course.